Todd Demsey was born May 27, 1972 in Ridgewood and grew up on the west coast after his family moved to San Diego, California. Tall and lean, he exhibited early promise in golf with a smooth, sweet swing. At the age of 10, he told his parents that he wanted to be a pro golfer. Though far from a prodigy, he eventually developed into top junior player. Todd’s family was very affluent, so he was able to play the region’s best courses and could afford lessons from top teaching pros. Todd’s calling card was his putting. Where other young golfers were exposed on the greens, Todd was money. He also had a keen interest in the history of the game. His coach as a teenager, Carl Welty, also coached Tom Kite. He found Todd to be a serious and focused competitor who was immune to distractions and gamesmanship. Todd was the star of the golf team at Torrey Pines High, graduating in 1990 with several college scholarship offers. He chose Arizona State. At a 1991 tournament in Phoenix, he shot a 61—one of the greatest rounds ever shot by a college golfer. Todd actually red-shirted in 1991, and joined the varsity as a freshman in 1992. He won the 1992 California State Amateur title and had the nation’s lowest stroke average among first-year players and earned First-Team All-PAC 10 and Second-Team All-America honors. The top player on the Sun Devils was senior Phil Mickelson. He won the NCAA title that year. The following season, Todd took the 1993 NCAA crown as a sophomore. He also won the Pacific Coast Amateur championship. That year, Todd was picked for the Walker Cup team. Among his teammates was Justin Leonard. The U.S. defeated Great Britain and Ireland’s team 19–5, setting a record for the largest-ever margin of victory. In 1994, Todd was selected to represent the U.S. in the World Amateur Team Championships in France. Tiger Woods was a team member, and the Americans cruised to an 11-shot victory. Back problems plagued Todd early in his pro career. His only full year on the PGA Tour was 1997, when he made just 9 of 27 cuts. He enjoyed moderate success on the Nationwide Tour and won three tournaments in 1998—the California Open, Utah Open and Arizona Open. In 2002, he missed half the cuts on the Nationwide Tour, distracted by a constant pain on the left side of his face. At first he believed it was a sinus issue, but an MRI revealed a brain tumor. He got married on New Year’s Eve and underwent the first of three surgeries 24 days later. The final procedure was performed in 2005. 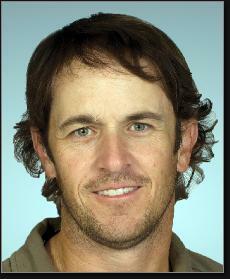 Todd returned to the Nationwide Tour fulltime in 2007, but his goal was to get back on the PGA circuit. In December of 2007, Todd completed his comeback when he shot a closing-round 64 in Q-school to earn a full exempt card for the 2008 PGA Tour. He had started the day 31st and ended up 8th. Only the Top 26 scores earned a card. Todd made 14 of the 25 cuts during the 2008 PGA season, managing just one Top 25 finish. He was active on the Nationwide Tour in 2009, 2010 and again in 2013, after it had been renamed the Web.com Tour.